Shoring as installed looking down at the mullion to remain above the damaged piece. When a structural engineer tells a colleague that they are working on a window restoration project, the colleague might say, “But windows are not a structural element in a building, other than keeping wind and weather out.” That statement is correct; if you remove the windows from a building, the structure still stands. 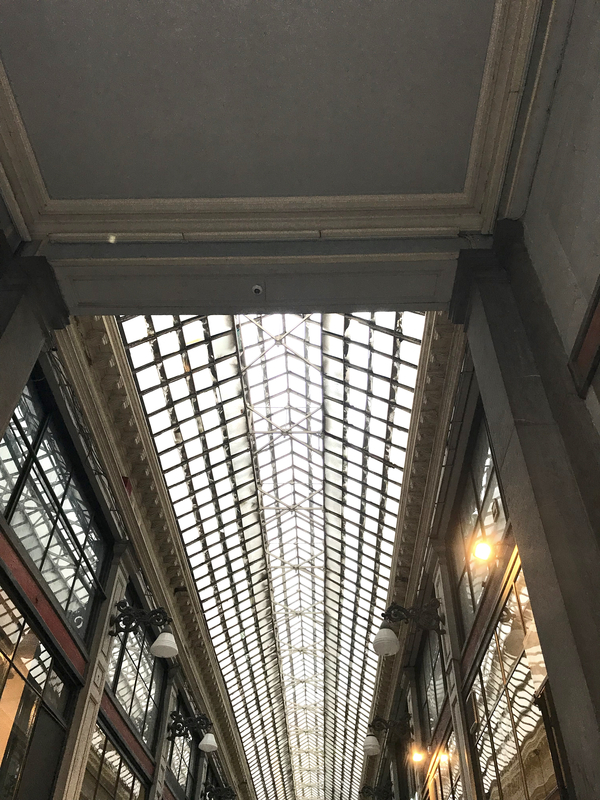 However when the window is twenty-five or thirty feet tall, and the elements that hold the glass are stone, there can be structural challenges regarding a restoration of said window. This is especially true when the main gravity load bearing element in the window opening is damaged and needs to be replaced. Such was the case at the St. John the Baptist Cathedral in Paterson, New Jersey. Old Structures was asked to design temporary shoring for the window structure to allow for the removal of a mullion stone. The design criteria for the shoring is the allowable deflection of the stone above the damaged piece, and the adjacent stained glass windows. Both stone and glass can tolerate very limited movement and the shoring needed to account for that, as well as any wind load on the window during the repair work. 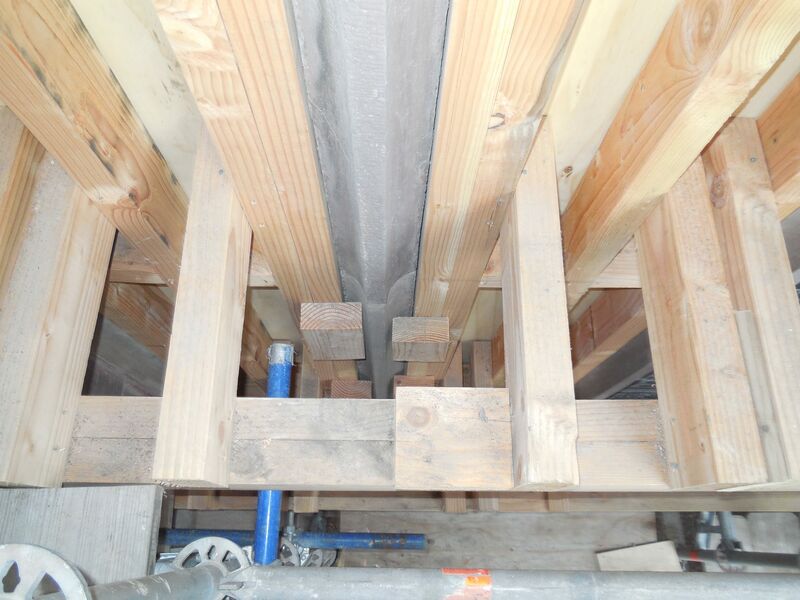 With the shoring installed as per the drawings, the damaged mullion section was removed, and the new piece carved to match the original) was successfully installed. No movement occurred in the masonry or the nearby glass. 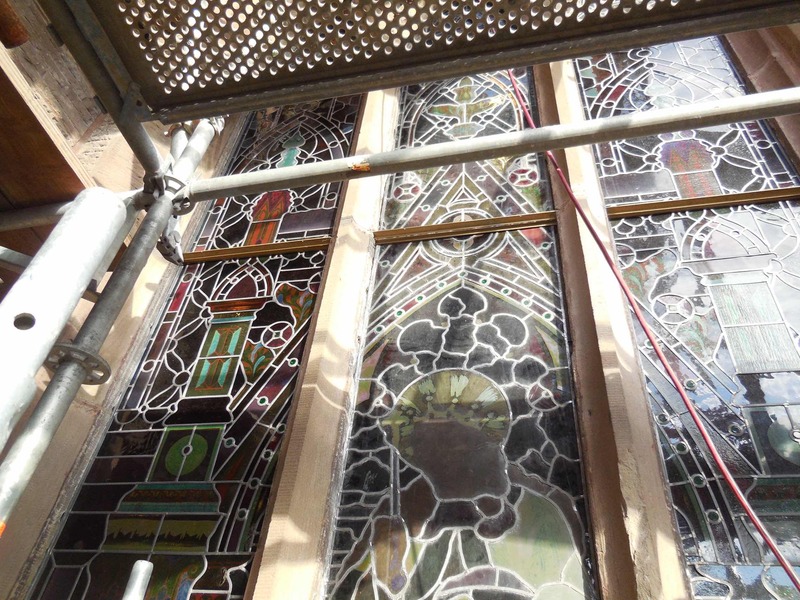 The stained glass installation is underway. Whew! The piece to remain is on top; double angles, here viewing the exterior angle, were inserted into the joint between the stone to be removed and the piece to remain. 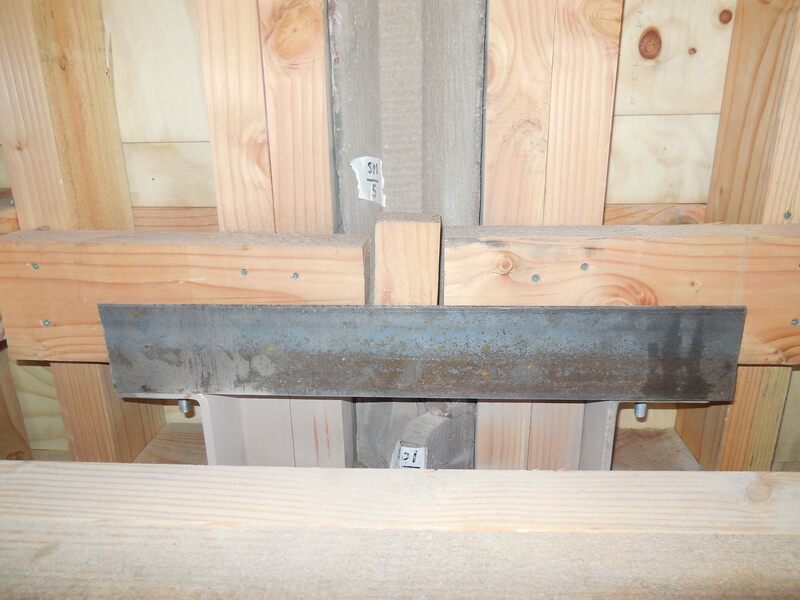 The angles are supported on the timber shoring. New stone mullion unit is on the left, the original unit above, and re-installed stained glass.